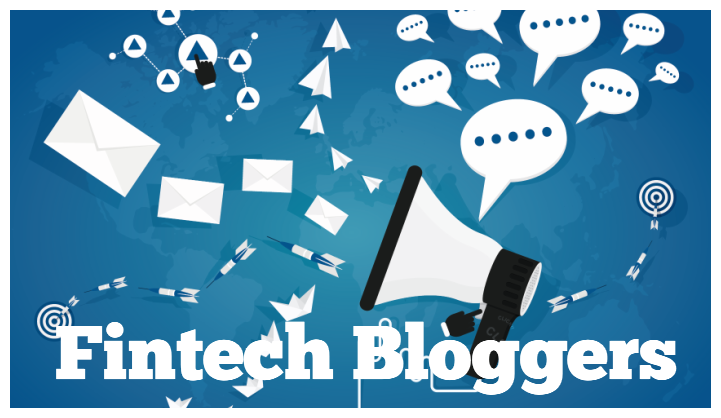 If you want to keep up with the fast-moving fintech sector, there are bloggers you can follow for the latest news, events and trends. Personal thoughts always have a motivating point of view, so it’s good to follow individuals who are passionate about fintech issues. These people offer mainly great analysis and insightful articles. Here’s is the list of 10 popular fintech bloggers. Chris Gledhill often ranks #1 top global FinTech influencer and regularly speaks and writes about fintech and the future of financial services. He led the disruptive innovation labs at Lloyds Banking Group before becoming CEO and Co-Founder of UK Challenger Bank Secco. Chris has a business background with expertise covering a wide range of disruptive technology including Big Data, Blockchain, and CryptoCurrencies. He is a regular blogger and ‘must follow’ for anyone looking to keep up to date with fintech developments around the world. Brett King is an Amazon bestselling author, a blogger, a renowned commentator and globally respected speaker on the business future. King has been featured in Fast Company, Wired, and TechCrunch Fortune magazine, ABC, FoxNews, CNBC, BBC, Bank Technology News, Bloomberg, Financial Times, The Economist and many more. He contributes frequently as a blogger in Huffington Post. Chris Skinner is known as an independent commentator on the financial markets. He is the chairman of the Financial Services Club and the author of the bestselling book Digital Bank. He has been selected as one of the most influential individuals in banking by The Financial Brand. He has also been voted as one of the top 40 most influential individuals in financial technology by the Wall Street Journal’s Financial News. Chris Skinner’s blog, The Financer, is all about the financial world. He provides well-written analysis and articles with the insightful approach to new technologies and finance. Faisal calls himself an evangelist for digital money and a payments consultant. His blog focuses on payment systems and cross-border money transfer. He’s working with FinTech startups, mid-sized and huge companies, banks, and financial institutions. He is versed in all facets of the value chain for x-border funds movement: regulatory frameworks, licensing, banking, processors, payment networks, compliance, etc. Tom Groenfeldt has a wealth of experience in banking, technology, finance, and now he writes for Forbes on these topics. He was named one of the top 25 global fintech influencers in 2015. Therefore, if you are looking for insightful fintech articles, add this blogger to your list. Jessica Elerm is a blogger who works in the Australian FinTech startup, Tyro. She also writes for Brett King’s Breaking Banks, Bank NXT, and Daily FinTech. On Jessica’s blog, expect to read mostly about fintech, banking, and payments. Pascal Bouvier is a former French banker. He writes some blogs posts per month, and all are insightful, with a new look at the financial market. Pascal’s blog focuses on the integration of finance and technology. You will also find some advice for fintech startups on his blog. Christophe Langlois worked in business development, in both banking and telecommunications. His blog, Visible Banking, focuses mainly on social media in financial services and banking. David is Director of Consult Hyperion, the secure electronic transactions consultancy. He is an internationally-known thought leader in digital money and digital identity. He is one of the top 10 influential voices in banking and listed in the top 10Twitter accounts followed by innovators, along with Richard Branson and Bill Gates (PR Daily). NextBank named him one of the “Fintech Titans”. According to Total Payments magazine, David is one of the Europe’s most influential blogger on emerging payments. His articles mainly feature on Tomorrow’s Transaction. Izabella joined FT Alphaville in 2008 and become a financial blogger. She has written for the newspaper’s award-winning blog FT Alphaville ever since. At FT Alphaville, she focuses on central banking, shadow banking market structure, most recently technology and fintech.